Eden Spiritual Care believes spiritual formation and growth opportunities are not a luxury for a small segment of society, but are essential for everyone. Would you like to help make Eden Spiritual Care’s retreats, spiritual direction sessions, and other spiritual-formation resources available to someone with more limited financial resources? Your tax-deductible donation can do just that! $5, $10, $15, $20, $25, $30, $35, $40, $45, $50, or $55 will provide someone with a helpful discount on one spiritual direction session or retreat. $60 will provide one spiritual direction session or cover half of one person’s typical retreat fees. $120 will provide two spiritual direction sessions or cover one person’s typical retreat fees. $150 will cover one person's costs for an online class. $240 will provide four spiritual direction sessions or cover two people’s typical retreat fees. $480 will cover one person’s spiritual direction fees for approximately half of a year (roughly once every three weeks for a calendar year, or once every two weeks for an academic year) or cover four people's typical retreat fees. $960 will cover one person’s spiritual direction fees for approximately one year (roughly once every three weeks for a calendar year, or once every two weeks for an academic year) or cover eight people's typical retreat fees. Have a vacation house?  Eden Spiritual Care is currently seeking clean, safe, and comfortable accommodations within 100 miles of Portland, Oregon, for hosting retreats. Please contact Sierra to discuss sharing your home with Eden Spiritual Care for two to four nights. Eden Spiritual Care offers a tax-deductible receipt for rental value. Eden Spiritual Care is a nonprofit organization under IRS 501(c)(3). You can also contact Sierra for information about where to mail a check. Tax receipts will be sent to you within one week of Eden Spiritual Care receiving your donation.